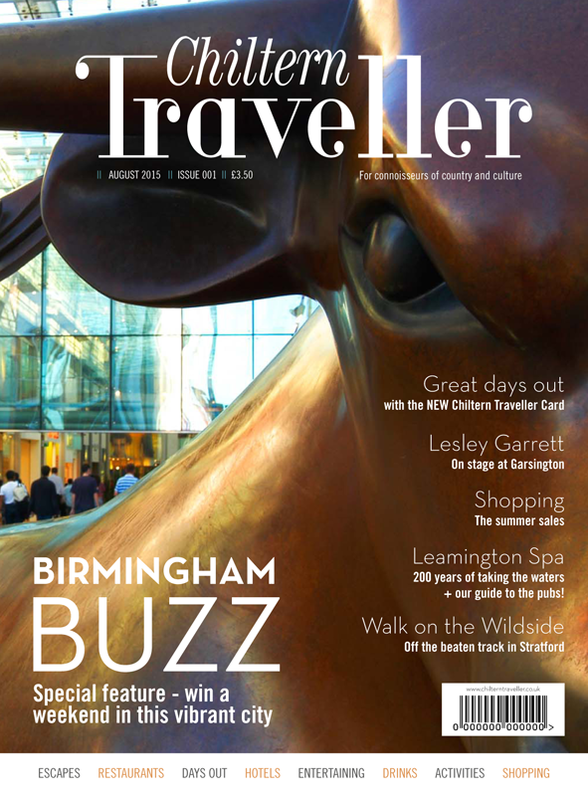 Chiltern Traveller magazine and www.chilterntraveller.co.uk – for connoisseurs of country and culture in the Chilterns and Central England – focussing on discerning readers who work, live, commute in some of the most beautiful and culturally wealthy regions of the UK. This includes the largest cities in the UK, London and Birmingham and Oxford; substantial towns such as Aylebury, Banbury, Warwick, Leamington Spa, Stratford-upon-Avon and many smaller towns and villages in-between. Our readers are passionate about culture and protecting the environment in which they live. Chiltern Traveller is about inspiring that discerning lifestyle with some quality time reading our magazine (online and in print), relaxing and researching what to do in town and country. Whilst the focus is on quality of life/leisure/relaxation and spending time with the family, we do not forget that many people need time to up on their chores.